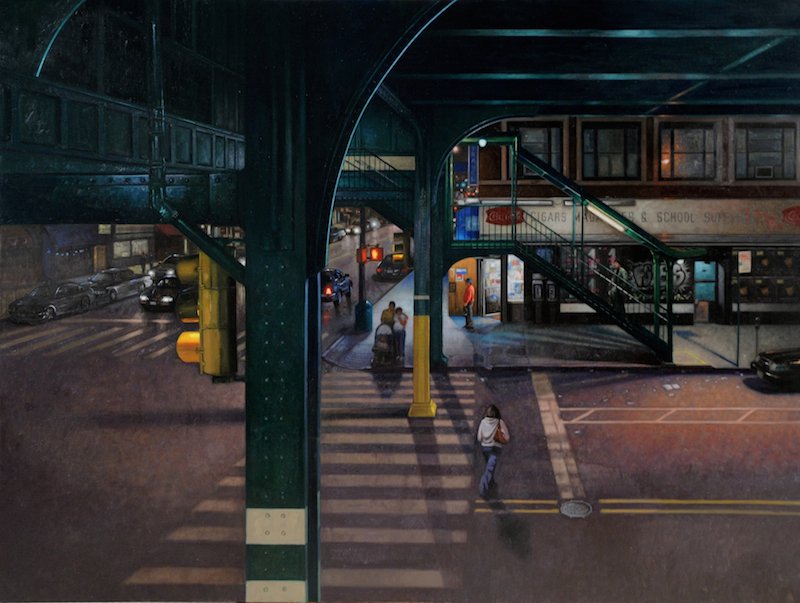 “Night Subway (2008–10) looks down into the nearly enclosed street scene beneath a subway overpass. Unlike other urban and bucolic subjects in Rubenstein’s paintings, which are expansive and visually placid, this one shows a kind of controlled disconnection, where figures move on individual trajectories, mostly detached from each other or their surroundings.” <c>Ephraim Rubenstein, Night Subway, 2008–10. 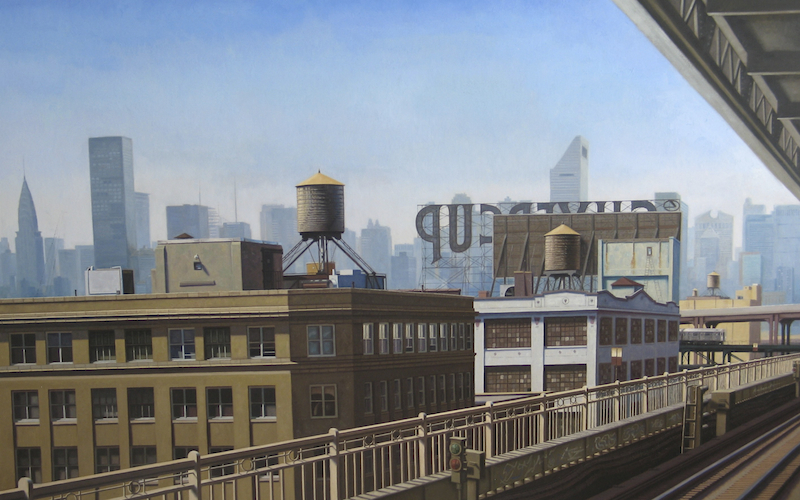 “The most interesting artists have always made work that embodies shifts, even radical jumps, breaking through earlier stylistic habits” writes Sarah Sutro in “Magnifying Stillness: Locating Meaning in the Work of Ephraim Rubenstein,” which appears in the Spring 2014 issue of American Arts Quarterly. What makes Ephraim Rubenstein’s work, according to Sutro, “is the invitation to enter into the state of the creative mind.” Read the article online. Ephraim Rubenstein, Silver Cup, 2010–13. 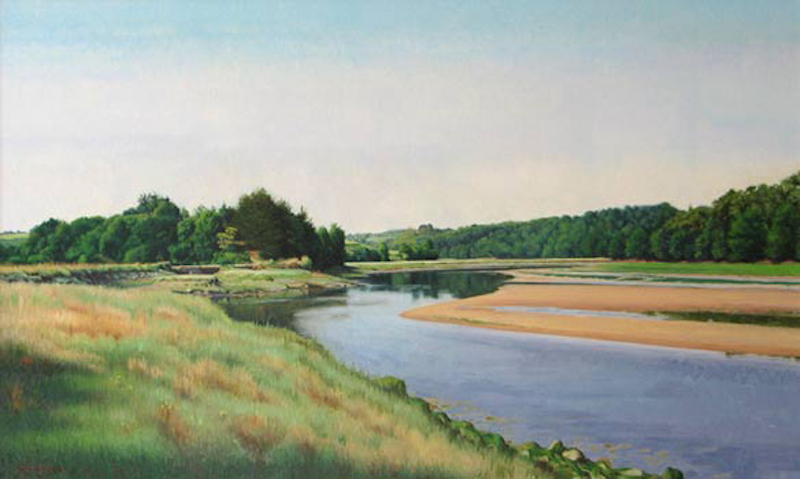 Ephraim Rubenstein, River Duron, Ebb Tide, 2006. “Rubenstein idealizes these images of home, which aim at a kind of meditative stillness. 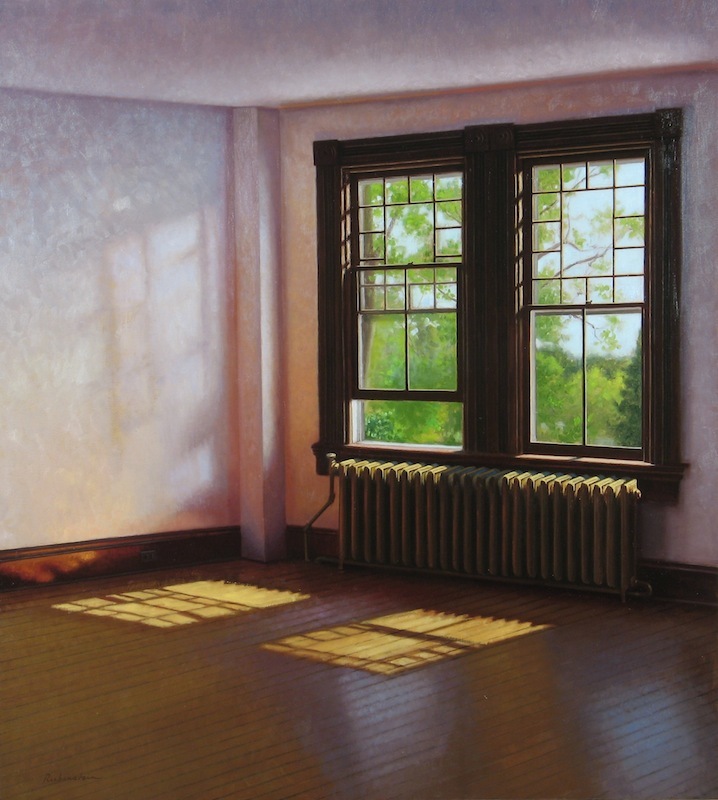 The Woodley Suite paintings seem to stop time in and around the house and land, conjuring the content and depth of memory.” Ephraim Rubenstein, Woodley Interior Sunlight 2, 2012.